This web page is focused on wrongful discharge cases and settlements in the state of Texas. It is uncommon for great cases to go to court, simply because they quite often reach settlement out of the courtroom. The majority of court cases contain mixed settlements, implying that they involved a single, or perhaps a number of claims of wrongful firing caused by race, color, national origin, religion discrimination, pregnancy, whistleblower, gender discrimination, firing in violation of public policy, disability, breach of employment contract, constructive discharge or sexual orientation, gender expression or gender identity discrimination. The table below provides an overview of the various kinds of cases filed in conjunction with their respective volumes in the state of TX in 2017. We can see from the statistical table above that Texas has more wrongful termination cases than any other state in the US. The state is the 2nd largest by both population and area, which explains this to some degree. Tonya Grayson was the executive director of human resources at the Dallas Independent School District for 18 months. Her tenure was plagued by scandals, starting from her lying on her employment application, bullying a colleague, and despite these, relentless support from the district superintendent Mike Miles. After a new superintendent, Michael Hinojosa, was put in place, he asked for Grayson’s resignation. She refused, so he fired her in July 2015. EEOC v Tandy Brands Accessories, Inc.
Merta Withrow was 62 when she was fired from her managerial position at the Victoria, TX location of Tandy Brands, a fashion accessory manufacturing company. Her termination was supposedly part of a reduction in force, but the company retained a younger, much less qualified manager to do her job. Koustoubardis worked as an administrative law judge for the Texas Youth Commission for 6 years. He blew the whistle on another judge, when he reported that the judge tried to influence the testimony of a police officer, and instructed Koustoubardis to rule a certain way. A few months later, Koustoubardis cooperated with an official investigation into another judge’s tampering with government records. He was fired soon after. EEOC v Garrison Contractors, Inc.
Elma Garza was the only female employee of Garrison Contractors, and oil field construction and services company. She worked at the company from 2012 as a dump truck driver. She worked with her male colleagues doing all sorts of tasks from fixing gas leaks to digging ditches. As one would imagine, she was subject to lewd comments from her male colleagues. She reported the unwanted harassment, but the company retaliated against her by wrongfully terminating her. The EEOC sued the company for violating Title VII of the Civil Rights Act, since the company retaliated against Garza for reporting sexual harassment. Dr. Johnson worked as a molecular biologist heading the county’s DNA laboratory for five years. She was part of a forensic investigation into a double homicide, and her test results conflicted the murder theory created by the police and the district attorney. Her results were confirmed by an outside lab as well. She was fired 15 days after she testified before a grand jury. Korrie Reed was just starting her position as camp registrar in a Huntsville summer camp, when she learned she was pregnant. Shortly thereafter, she developed gestational diabetes. The executive director of the company demoted Reed, even though she did not ask for a reassignment and could have performed her duties. She complained that her demotion was in violation of employment laws, she was wrongfully discharged in retaliation for her complaint, and even sued by the company on 2 counts. Reed reported the events to the EEOC, who sued the company for violating the Pregnancy Discrimination Act and the Americans with Disabilities Act. Patricia Hahn worked as a licensed vocational nurse for the urology clinic in Grapevine, Texas. Her boss, Scott Davidson repeatedly yelled at her and clenched his fist at her. She complained about her supervisor’s behavior to the office manager, but nothing was done. Her bullying continued and she was so scared that it caused a coronary vasospasm and acute onset stuttering. The nurse reported the events to the EEOC, alleging discrimination. She was fired 3 weeks later. Afterwards, she filed a retaliation claim as well. EEOC v Senior Living Properties, LLC. Amanda Spalding was the dietary services manager at an assisted living facility in Sweetwater, TX. She was Christian and because of her religion, she asked to be excused from working Sundays. Her request was respected for 3 years, until a new administrator, Peggy Scruggs was hired to head the facility. Scruggs informed Spalding that she would either work on Sunday, or be fired. The EEOC sued the company for violating Title VII. A sincerely held religious belief must be accommodated, if it doesn’t cause undue hardship on the employer. Not respecting her request any longer constituted religious discrimination. Rosemary Flammia worded for the San Antonio Police Department, rising to the rank of deputy police chief after years of hard work. A new police chief was hired by the city, who demoted her to the rank of captain. She had been deputy police chief for 7 years. The new police chief argued that he can have whoever he wanted on his staff. Afterwards, she was passed on for promotions two times. EEOC v Downhole Technology, LLC. Kenneth Echols who is African-American, worked at Downhole Technology, the Houston based manufacturer of equipment used in the oil industry. His colleagues exhibited racial harassment against him, when they intimidated him with a white hood, one which the Ku Klux Klan would use. Echols complained about this to management, but was told that the incident was merely a joke. He was asked to sign a declaration stating the company thoroughly investigated his complaint, but he refused. He was fired in retaliation. The EEOC sued the company on behalf for violating Title VII. The firm failed to stop racial discrimination, and retaliated against the employee for reporting it. As you look through this catalog of unlawful firing verdicts from Texas, keep in mind that the large amounts of money are due to punitive damages, which are brought to discourage organizations from engaging in the same sort of unjust conduct. Punitive damages are relatively infrequent. The majority of court cases will settle for anywhere from $40,000 to a couple of hundred thousand dollars. This directory of unlawful firing verdicts in TX is intended for informational purposes. Despite the fact that you feel similarity to any of these cases, don’t forget that each and every case is different. What is the average wrongful termination settlement in Texas? If you feel that you were wrongfully terminated, it’s understandable that you would like to check how much money you could get for your unlawful termination case. In the event that you settle, the amount of money you obtain is typically determined by the following: benefits lost, job search costs, emotional distress, medical costs, reason of termination and lost wages. Punitive damages can also be awarded in rare cases, in the event the employer behaved egregiously. As you’ll notice from the example lawsuits in this article, giving a typical settlement for wrongful termination claims in TX is challenging because each and every claim is different. The average wrongful termination settlement in Texas is between $5,000 and $100,000. Attorneys continue to be effective in brokering a better settlement. The majority of jury awards are bigger, approximately $100,000 and $500,000. This is certainly one reason organizations like to accept a settlement out of court. Years of going to court, bearing its legal costs and perhaps losing the court case in the end could very well be costly. If you think you were fired for an illegal reason, this is what you should do. First of all, you’ll need to consult with a wrongful termination law firm in Texas to ascertain whether or not there is a claim worth going after. Make sure that you do not run out of time to submit the claim, look into the Texas laws of limitations on wrongful dismissal. Secondly, you’ll most likely need to submit a timely claim with the EEOC. 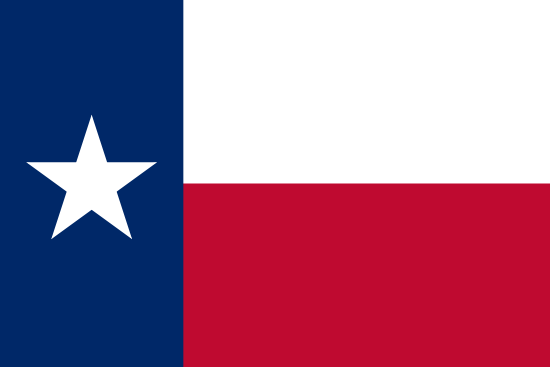 Texas has 4 EEOC locations where claims can be submitted: Houston, Dallas, San Antonio, El Paso.